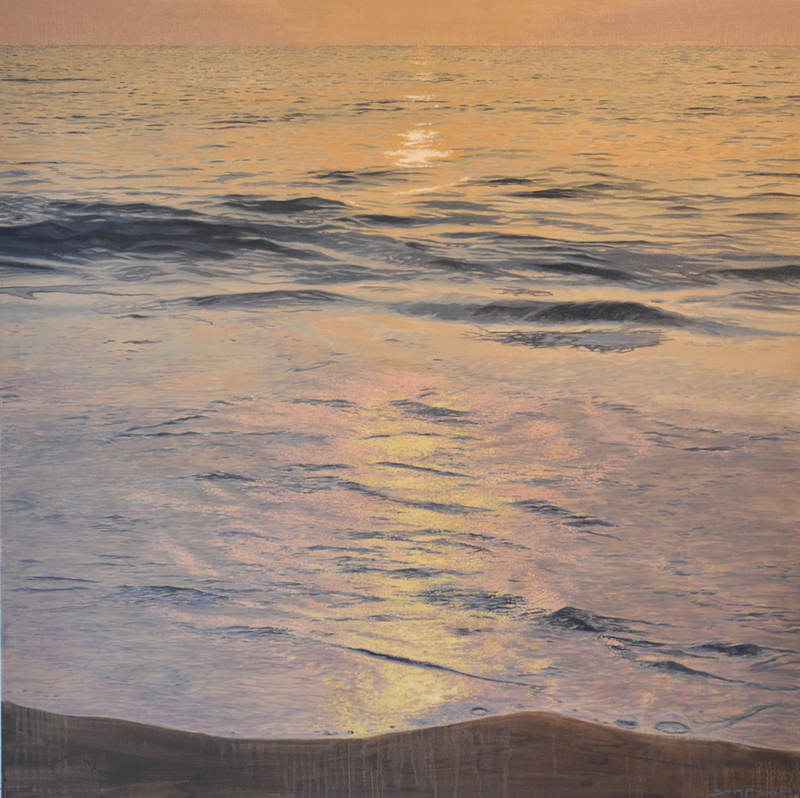 Drawn to shorelines, beaches, lakes, oceans and streams, water is Joe Sampsons focus. Joe uses water imagery to depict the dichotomy between movement and immobility. A detailed understanding of light’s ability to create color, shadow and tone is utilized to set mood in each painting. 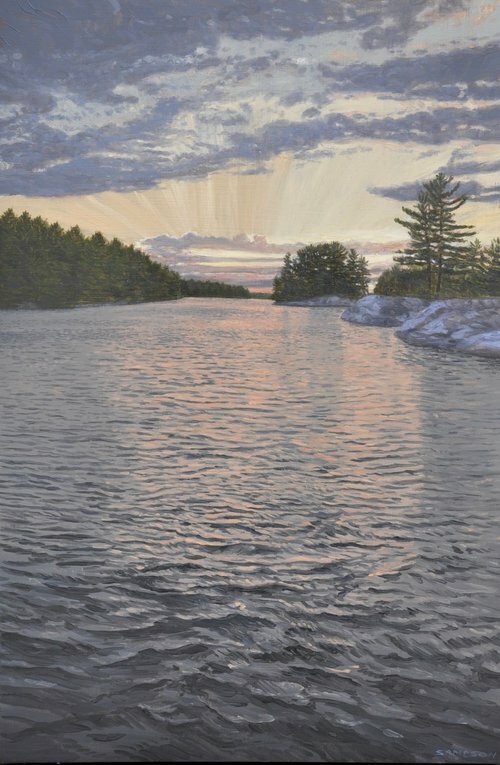 Whether it be cold, warm, tranquil or angry, waters’ magnificence strikes the viewer and an emotional response is evoked. From a distance, the viewer is drawn towards what appears to be a photograph. 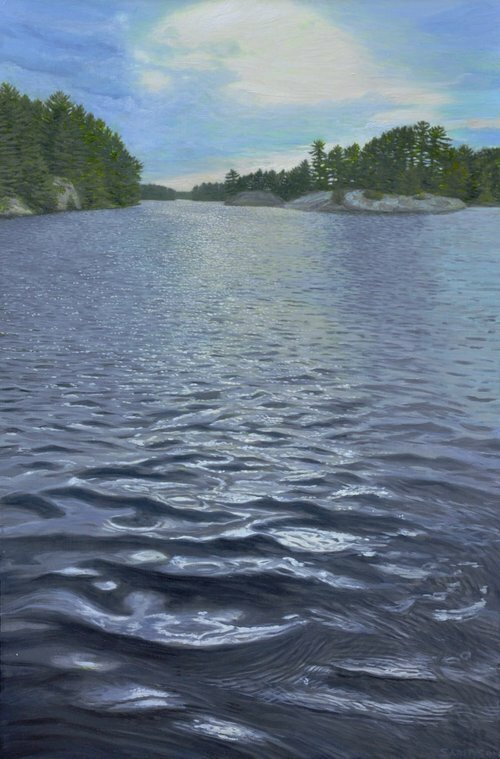 Upon closer inspection, brushstrokes are revealed and the observer is made aware of the meticulous layers of brushwork, resulting in the illusion that the viewer is still for an instant, at the waters’ edge. "I believe water to be one of the most challenging subjects to capture, its constantly moving and changing shape and colour. A dynamic composition and an understanding of colour light and shadow are my artistic goals. Creating a mood and feeling help me achieve my ultimate goal, which is capturing a moment in time and holding it forever. Etobicoke Civic Centre Annual Juried Show The peoples Choice Award.